Arthur A. Levine Books, 9780545086615, 32pp. One day Ant encounters a great big ball of string, and can't see his way over or through it. 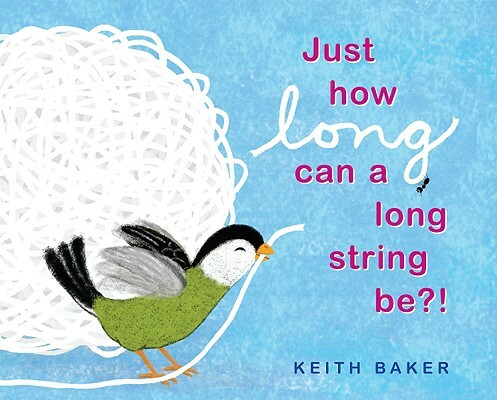 Fortunately, when he asks his friend Bird "How long is a string?" Bird wisely shows him all the wonderful ways a string can be cut up and used, to the delight of both friends. And after a day of adventure the question doesn't seem to be a problem anymore -- a string can be as long as Ant needs it to be. Keith Baker is the author and illustrator of fifteen beloved picture books, including BIG FAT HEN, which won the SCBWI Golden Kite Award. A former elementary school teacher, he lives in Seattle, Washington.